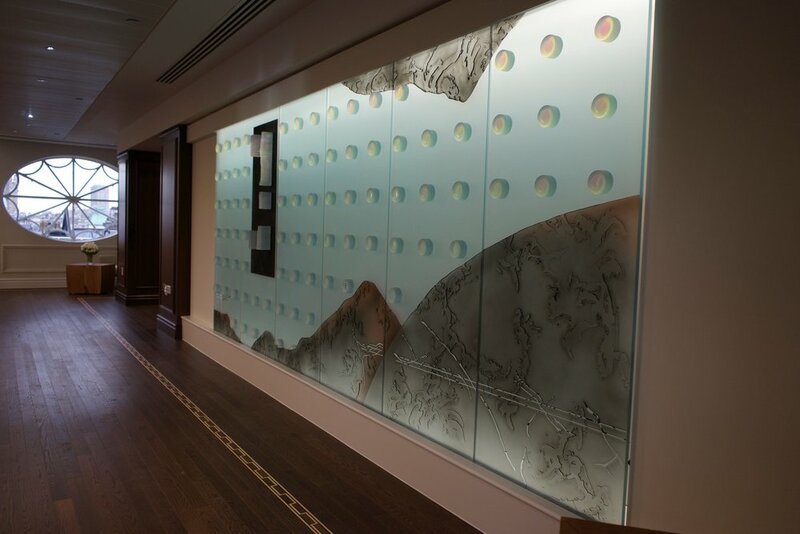 This contemporary sculptural glass wall reflects both historical and natural aspects of Canada's relationship with the United Kingdom. 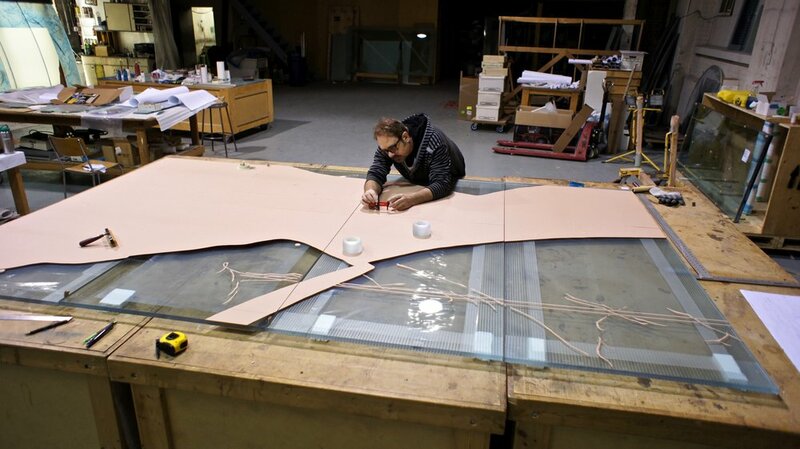 The 16 ft. x 7 ft. art piece lives in the Laurier Room of the Canadian High Commission in London. The room sits on the top floor of the Embassy, adjacent to a rooftop garden that overlooks Trafalgar Square. The space is used to wine and dine important visitors. The sculpture illuminates and animates the Embassy which is located in a Greek Revival building constructed in 1824. The piece is contextually compatible with the space while running visually counterpoint to the historical environment. The beaver is a significant symbol within the work. The origins of Canada lay within the beaver trade which brought the British to Canada. Other elements within the work reference the Canadian landscape. Most significant are the 93 cylindrical forms that float within the composition, referencing falling snow. Viewed from the side, the 3D cylinders are pure white. 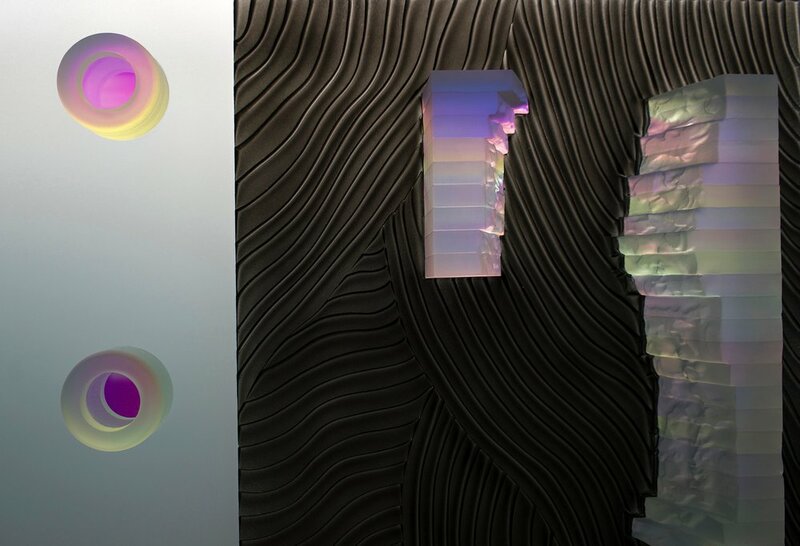 As the viewer walks past the wall, colour begins to appear within each cylinder. 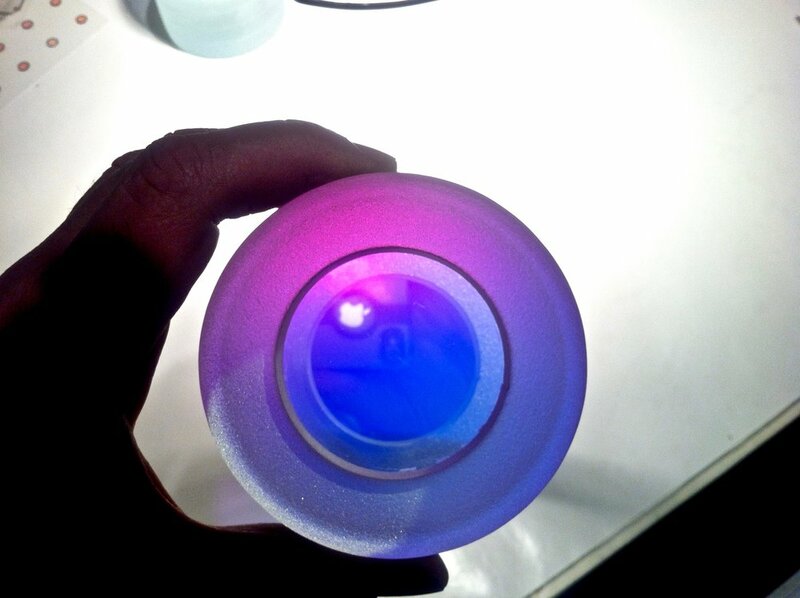 Dichroic glass is used within each cylinder, known for it’s colour shifting qualities. This results in an array of multicoloured snowflakes, each exhibiting it’s own hue. The lower part of the sculpture offers linear shapes which are clear, allowing the viewer to see to the other side of the work. 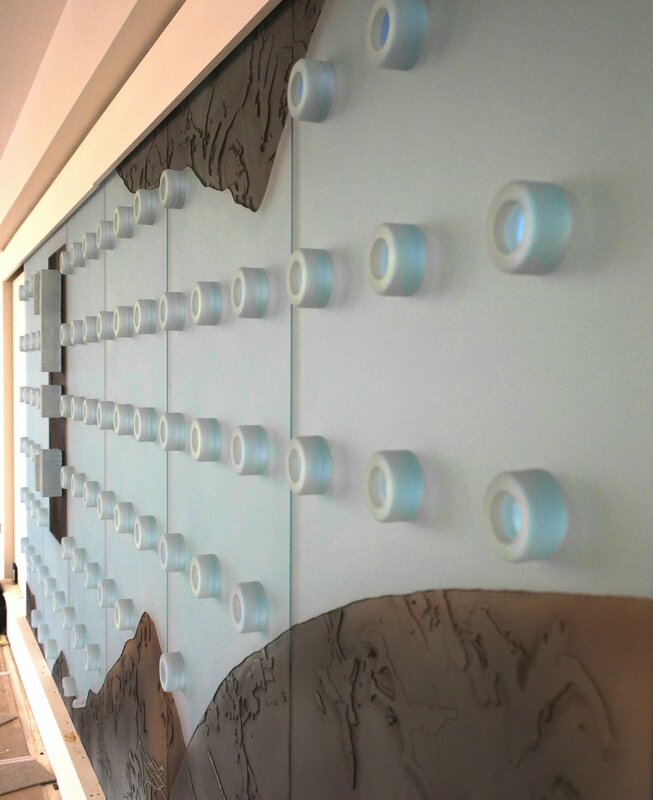 A peek into the clear glass will also reveal line drawings of beavers, taken from the Canadian nickel. Like the beaver in a forest, these beavers are hidden from view, unless one looks very closely. The drawings interact with the clear glass, creating a sense of movement as the viewer walks by.